Beginning with a feasibility study in 2010, the City of Sacramento is installing the Two Rivers Trail along the south side of the American River. As a first phase, segments of paved path have been installed between Tiscornia Park opposite Discovery Park to the Hwy. 160 bridge and for 0.7-mile east of Sutter’s Landing Park. Provides access for all, especially those with mobility impairments. There currently is no ADA-accessible path into the Parkway from River Park. Some mobility-impaired River Park residents have never seen the river in their own backyards! Improves safety by creating the conditions that encourage legitimate, legal activity and deter illegitimate, illegal activities. Protects the privacy of residents by giving walkers and bicyclists an established path below the crown of the levee. Initially the path was envisioned for the top of the levee, but it was later moved due to restrictions by the regional flood control agency, which uses the top of the levee for maintenance vehicles. Safeguards bicyclists by creating a direct, continuous, completely car-free bike route to the Midtown Grid. 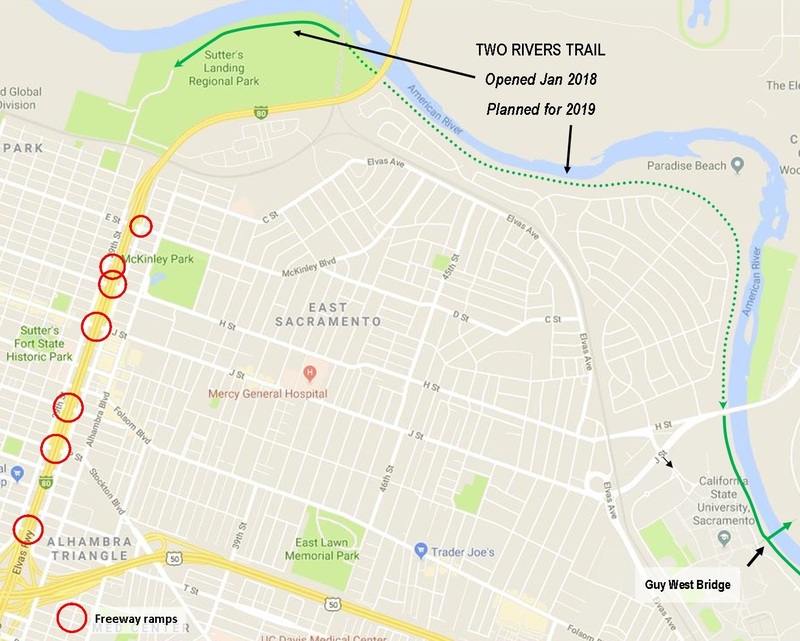 This path will completely bypass congested East Sacramento streets, including the undercrossings and freeway ramps at the Capital City Freeway. 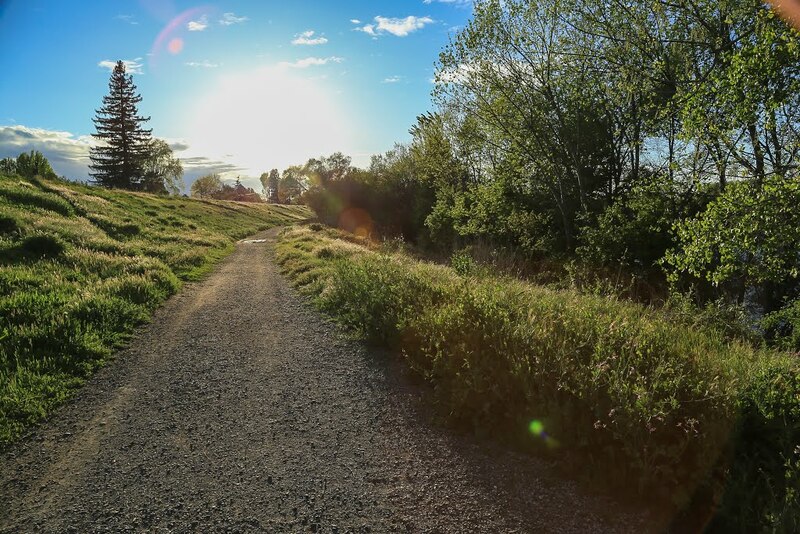 Aligns with the vision of River Park resident Frank Cirill, longtime defender of the American River Parkway, for a fully accessible American River. Legalizes bicycling in this part of the American River Parkway. Except in the Woodlake and Cal Expo areas of the Parkway, bikes may only be ridden on paved paths. Riding off-pavement is illegal and bicyclists riding there are subject to a citation by County Parks rangers. Encourages biking and eases congestion by creating a continuous, off-street bike route between the Sac State campus and the Midtown Grid. Talk to your neighbors about the facts and the benefits. Let your elected leaders know you support the project.